1. We created the CR repository where we can, if there are delays, push out multiple updates that work together while we take a care of problems with packages that don't build, if we have issues getting the ISOs to properly build, etc. during the point release process. This gives us an avenue to release pieces of the point release without having to release the whole thing. We have actually not had to use the CR repository on the last 2 release cycles (CentOS-5.8 and CentOS-6.2) as we got each of them out within 10 days... however, this is an option that we have if we need to get out pieces of the release (like critical updates) if there is any kind of delay in the main process. 2. We now have corporate sponsors who sponsor 2 CentOS Developers to work on the CentOS Project full time. That means that we now have 80 paid hours per week of CentOS Project time where we get do nothing but CentOS Project related work. The sponsors do not ask for anything in return, just faster CentOS updates by the current CentOS developers who get to make the CentOS Project their daily work priority. This should be huge in preventing future delays. 3. We have given better tools to the CentOS QA team. They now see the packages that we are building in the QA IRC channel, the status of the builds on the QA mailing list and we have a scratch build area setup where they can do test builds to help us develop patches for issues, etc. We have also been using trello for collaboration during point release time to get updates out faster. The bottom line is that the CentOS Project has expended great effort to ensure that point releases of current products will be released in a timely fashion. 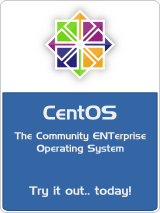 With the changes we have put in place and with the ability to do CentOS as our main daily work focus the future looks quite good for timely CentOS updates.